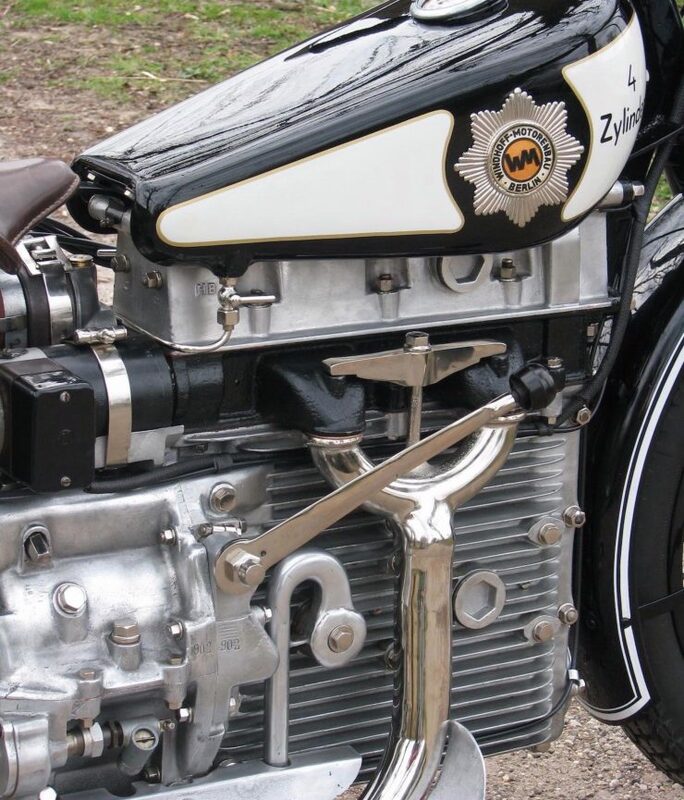 This four-cylinder Windhoff was one of the most advanced motorcycles of its time thanks largely to its engine, which doubles as the motorcycle frame, and features oil-cooling, an overhead camshaft, and an engine block that acts as a giant radiator. 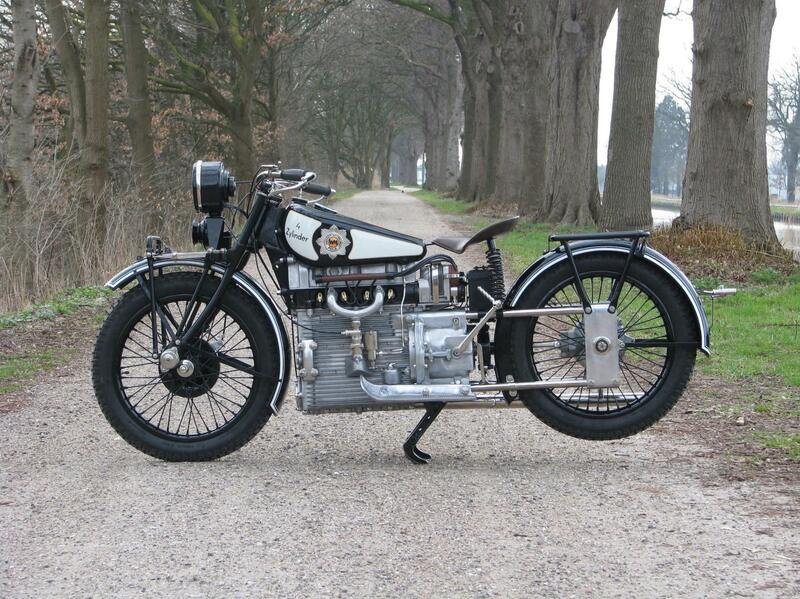 Windhoff Motorcycles, officially Windhoff Motorradenbau GmbH, began producing motorcycles in 1924 but the company had existed in some form previously building radiators for automobiles, planes, and trucks since 1902 in Berlin. 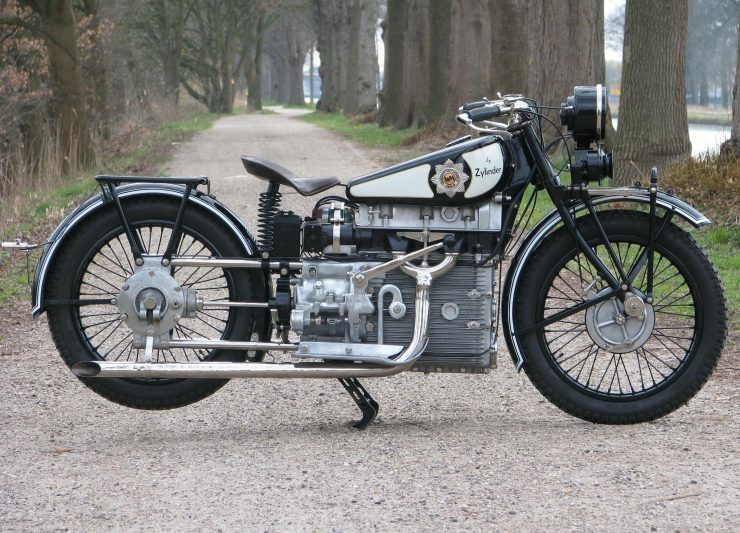 Founded by brothers Hans and Fritz Windhoff, the motorcycle marque started out as many others had – producing motorcycles with engines either bought in or licensed from other companies. 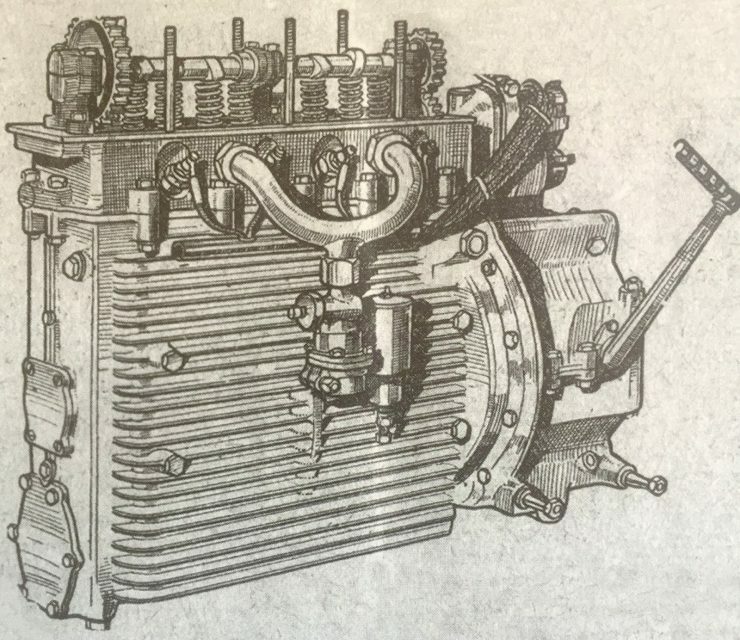 In the case of Windhoff the engines were two-strokes built under a license agreement with Hugo Ruppe, these ingenious engines used an extra piston as a supercharger of sorts to compress the fuel/air mix before induction. 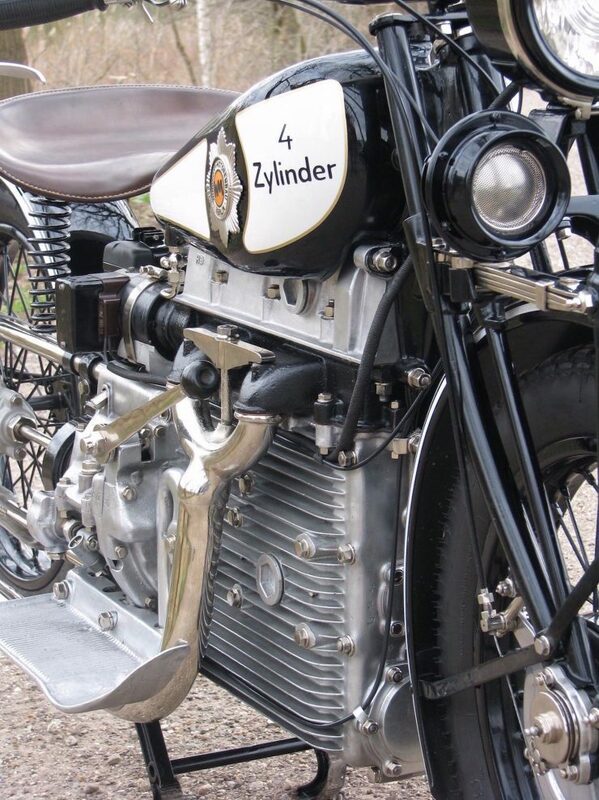 The most famous examples of these engines were used by fellow German marque DKW in their world-class grand prix racing motorbikes with much success, this relation would almost certainly have helped along the sales of the early Windhoff bikes as well. 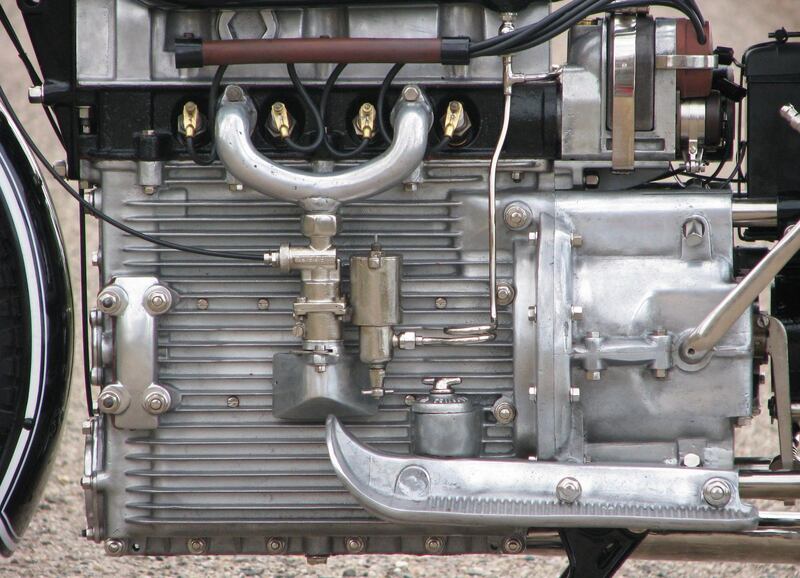 At the mid-point of the 1920s an all new engine was developed for Windoff by Ing. Dauben, an engineering savant who would later go on to work on the development of the Mercedes-Benz W144 – W146 racers in 1936/1937. Dauben’s design was breathtaking, both for how advanced it was for the era, and for its aesthetic beauty. 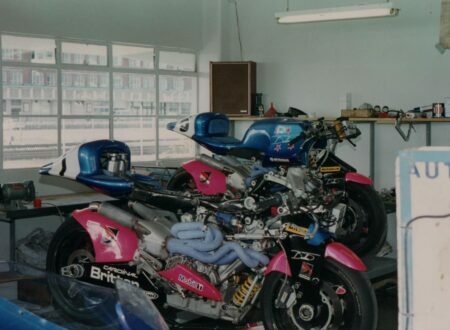 The use of the engine as the central chassis structure was groundbreaking, the steering head and forks bolt to the front of the engine, and the rear wheel mounts to the gearbox with four straight steel tubes. The gearbox itself bolts directly to the back of the engine and sends a shaft-drive to the rear wheel, the hard tail rear greatly simplifies the shaft-drive as there is no need to accommodate up/down movement. 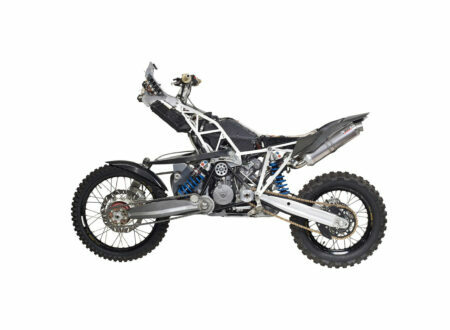 The hard tail is compensated for as many of them were at the time, with a sprung saddle and reasonably flexible tire sidewalls. Both the crankcase and gearbox were cast from aluminum alloy, the cylinder head was cast from iron, and the horizontal fins along each side of the engine coupled with recirculating oil provided the cooling. 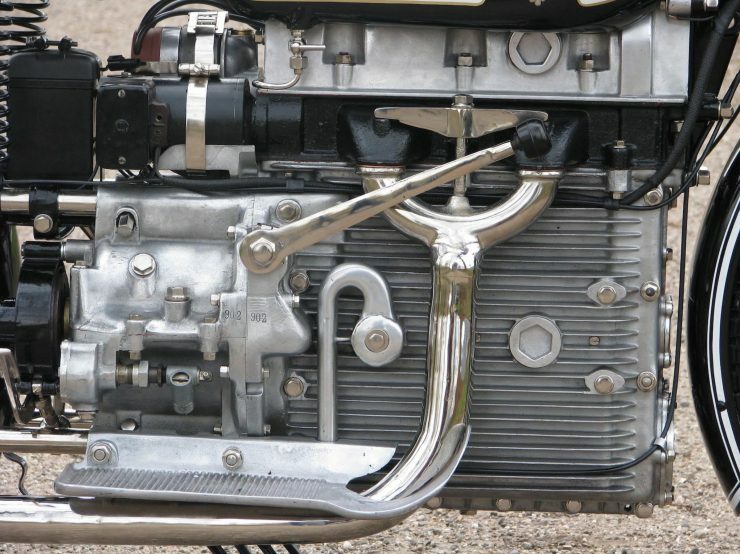 The cylinder head was of the cross-flow design with the carburetor and intake manifold on the left side and the exhaust manifold on the right side. 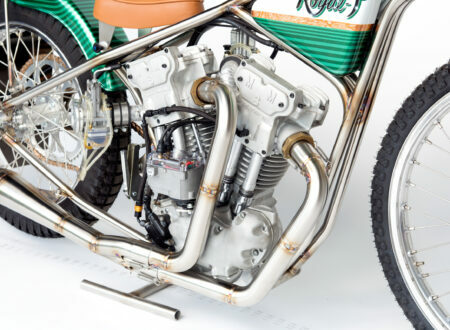 Up front the trailing-link forks use twin leaf springs on either side of the fender, and gear changes are accomplished using the 3-speed hand shifter on the right side mounted slightly below the bottom of the fuel tank. 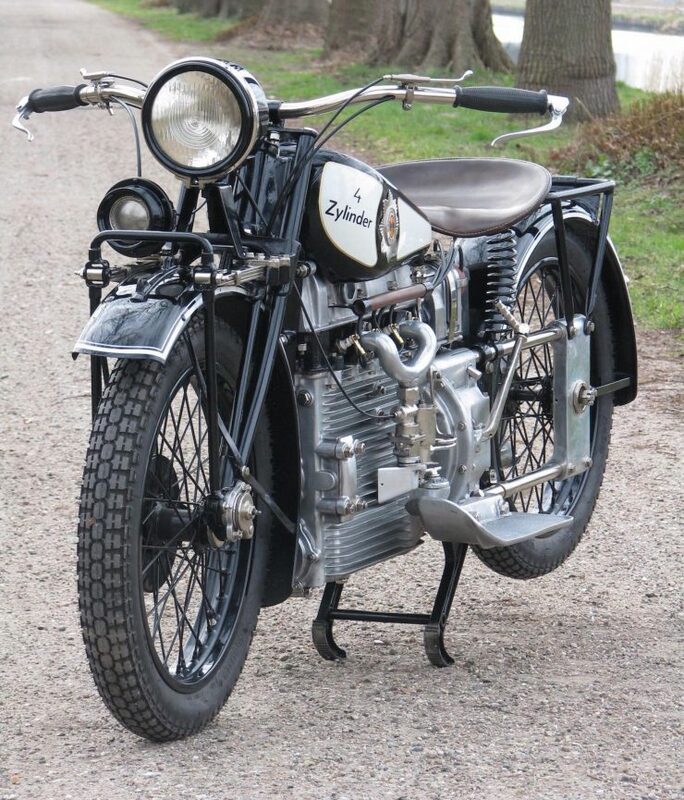 The Windhoff Four is capable of approximately 80 mph at full tilt thanks to 22 hp at 4,000 rpm, these were significant speeds and horsepower figures for the era, in fact the biggest issue faced by the Windhoff was the inaccessible price tag of 1,750 DM, 150 DM more than the BMW R63. Though it isn’t known exactly how many were made in total, we do know that surviving examples are popular with collectors due to their rarity and aesthetic appeal. 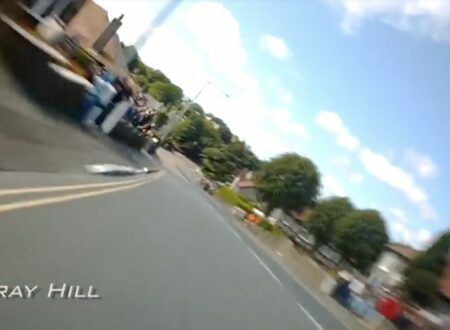 This means you’ll rarely see them being ridden, and they don’t often come up for sale. When they do you can expect to pay well over $100,000 for a good numbers matching example. 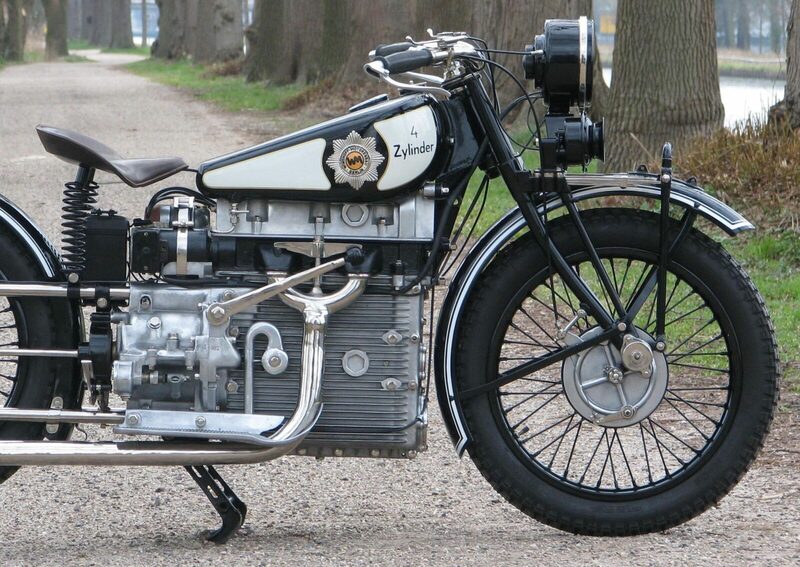 The Windhoff Four you see here is a numbers matching bike – both the (somewhat small) front frame section and the engine are both stamped #902. 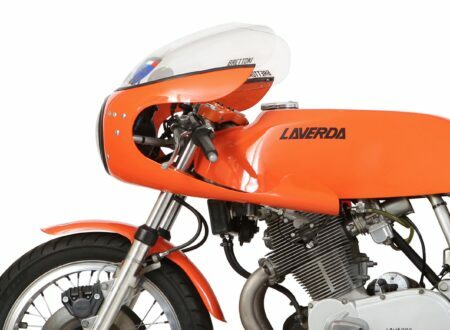 This bike has spent the past 10 years in a museum collection, and it benefits from a mechanical and cosmetic overhaul carried out from 2007 to 2008. 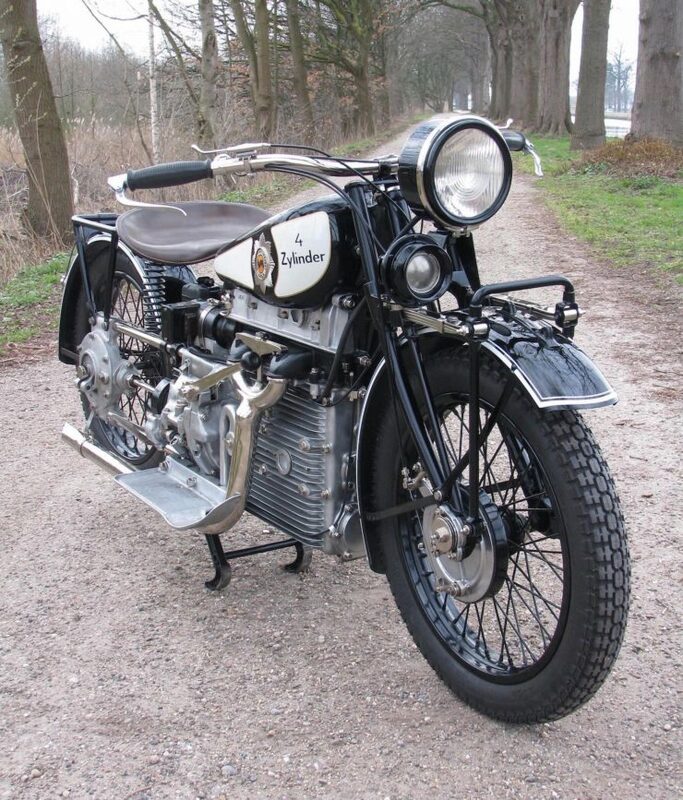 Now presented in excellent overall condition the Windhoff is accompanied by 1959 German registration documents, some sundry invoices for the work carried out, and articles about the history of Windhoff. Bonhams estimate that it’ll sell for between $100,000 to $150,000 USD when it crosses the auction block on the 6th of October, if you’d like to read more you can click here to visit the listing.